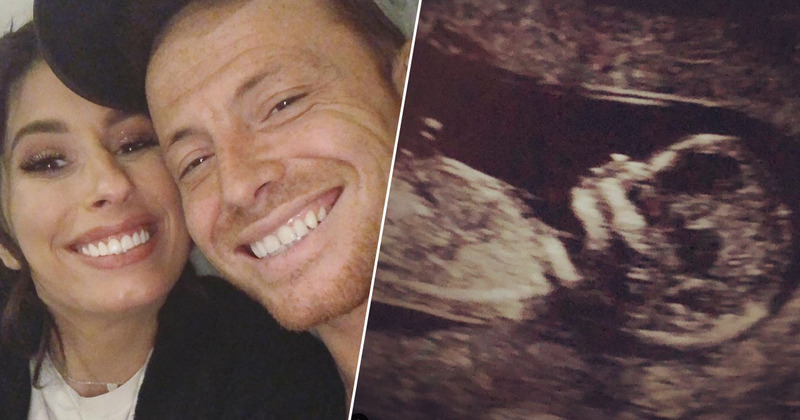 Stacey Solomon has announced she’s expecting her first child with boyfriend Joe Swash. The 29-year-old Loose Woman, and the former Eastenders actor, aged 37, have enjoyed a ‘widely-discussed and publicised three year romance’ – which we here at UNILAD must’ve missed the memo on. But, all the same, the British entertainment couple seem genuinely over the moon, and what better news than that of a baby on the way to accompany you on your commute to work on a Friday morning? Have been driving myself mad thinking that she’s bored senseless of me and can’t stand to be awake for longer than 10 minutes of my company… So you can imagine my delight to find out that she still loves me and my company very much she’s just been growing a baby. I can’t begin to describe how happy we are to be able to share this wonderful news. We’ve been so blessed with 3 incredible children that we’ve had the privilege of raising and we are forever grateful to have the chance to become parents to another wonderful child. It’s all very overwhelming and emotional and we couldn’t be happier right now. It was down to Joe to make the announcement, so he posted a shot of an expectant Stacey curled up on the sofa with a full litter of puppies – presumably a nod to the soon-to-be-newborn. We are forever grateful to have the chance to become parents to another wonderful child… It’s all overwhelming and emotional and we couldn’t be happier right now. Stacey, already a mum-of-two, seemed lost for words and overwhelmed with happiness at the news, and simply retweeted Joe’s message to share the news with her fans. Joe appeared on Good Morning Britain shortly after the couple jointly announced the news, and was welcomed with open arms by his daytime telly colleagues who congratulated the actor and singer. I’m well trained I’ll be fine, we’ll be fine. It’ll be good. She’s all good she’s excited we just can’t wait for it to happen now. In terms of the ‘training’ Joe mentioned, he shares son Harry, 11, with ex Emma Sophocleous. Stacey and Dean Cox are parents to Zachary, aged 10, and she’s mother to six-year-old Leighton, with Aaron Barham. Congratulations to the expectant couple and Jungle King and Queen. This kid is going to be daytime telly royalty.